Remember the old days when repairing or replacing your sewer line meant calling in the backhoes, crew of diggers, and contractors to pull down your garage, pool, porch, or whatever else may lie in the path of your underground sewer line so it can be repaired? Thanks to new breakthroughs in sewer line replacement. This nightmare is a thing of the past. There is no need to disturb your yard or beautiful landscape, tear down your garage, ruin your driveway, or lay a finger on anything else that lies in the path of your damaged underground sewer line anymore as there is a new modern method available to you. 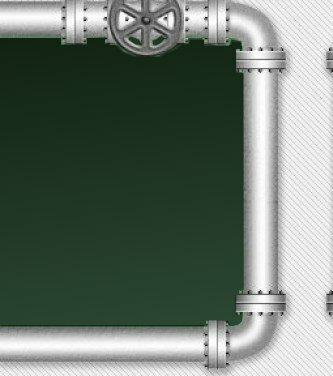 Pipe relining is the latest technology in making trenchless sewer pipe repairs or replacements for it is faster, cheaper, and requires very little digging. 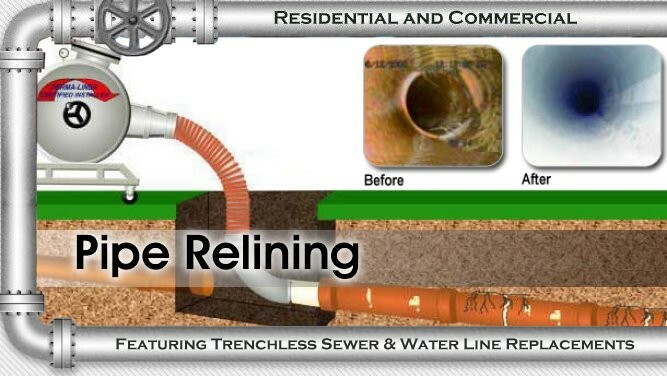 This process is used to reline the interior of your old sewer line leaving a new "pipe within a pipe" This is the preferred method of trenchless sewer line replacement as in most cases it requires no digging at all and is commonly referred to as "No Dig" sewer pipe repair. This method involves relining the entire length of sewer pipe with seamless, flexible PVC infused liner that is coated with epoxy resin. The new liner is unraveled and blown into the old sewer line using air usually from an existing access point called a clean-out. The epoxy coated side is simultaneously pushed against the interior wall of the existing sewer line. Once in place, a bladder is inserted the full length of the new liner and inflated with high pressure, heated air sealing it to the old sewer line. This effectively seals all leaks, cracks, and voids and leaves a smooth, rock hard seamless new pipe that's water tight and highly resistant to future root intrusion, a leading cause of failed sewer lines. This process is effective and enduring that the pipe is warranted to last well over 50 yrs. 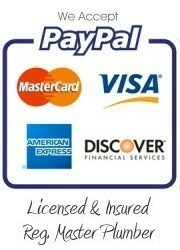 Please watch the video and you will have a better understanding, and then give us a call for your free estimate.